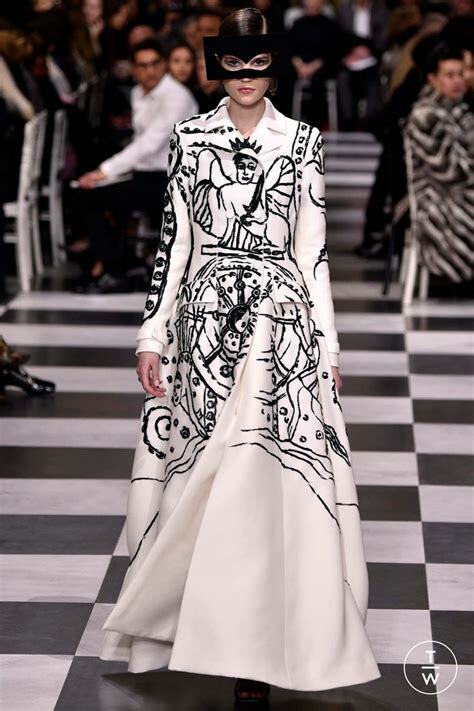 Dior Couture finds Esoteric inspiration from Pixie and Fini – Zero Equals Two! Surrealist symbolism—the black-and-white checkerboard runway, and the bird cages and faux plaster casts suspended over it, made the set. Stephen Jones created the delicate eye masks in homage to Peggy Guggenheim, who exhibited Fini in her 1943 show, “Exhibition of 31 Women Artists.” And so, the clothes: also mostly black and white, interspersed with sprinklings of silver and gold. Her persistence in speaking as a feminist has put Christian Dior in a favorable position as far as the optics of politicized brand choices are concerned. Those who feel trouser suits are a better option for an awards appearance will be pleased. Her pants looks ranged from white ottoman bar-jacketed suits to a black tuxedo covered with a dramatic cloak at the finale. Long, black tailored coatdresses struck an alternative sober note of elegant restraint. 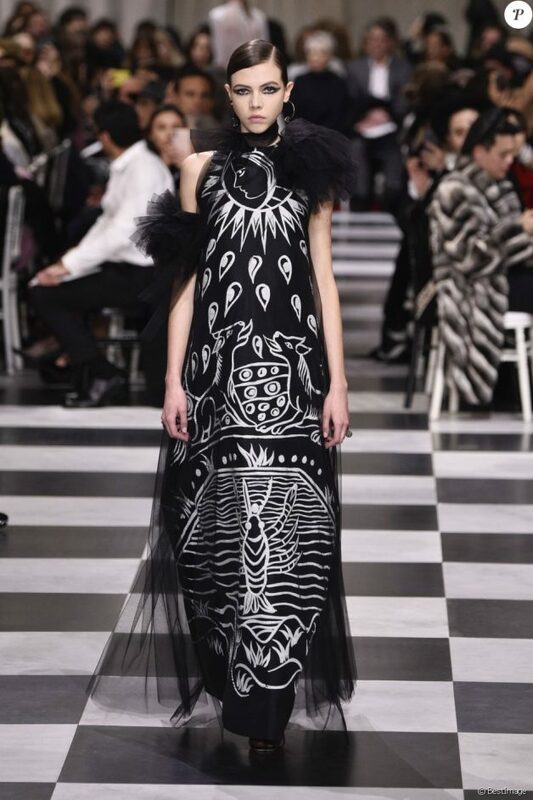 In between, there were the many, many dresses: a particularly beautiful black halter-neck, decorated with white feathered butterflies on the front; a delicate cloudy ecru chiffon dress with long sleeves and smocking on the shoulder; a black-and-white curved optical printed gown with black gloves for shoulder straps—these stood out. As for the woman-as-bird-cage trope, though? The reference might’ve related back to a 1930s Surrealist metaphor, but in this day and age? In the yesteryear of 2016, the framing of young actresses in transparent dresses had become almost the industry norm. Doesn’t matter if they’ve got big underwear on beneath, really. Surely, it’s just become one of the things we’re all seeing through now?